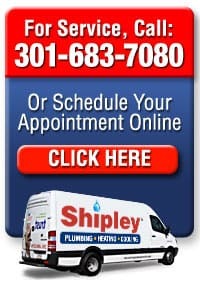 Shipley Plumbing, Heating and Air is your Silver Springs, Olney, Rockville and Bethesda, Maryland area home experts for all types, makes and models of plumbing, heating and central air conditioning systems and equipment. When you call a plumber or heating and air conditioning contractor for your Maryland home, you want a company that is courteous, fair and technically proficient. 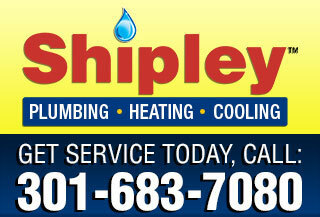 Shipley Plumbing, Heating & Air Conditioning delivers the best in customer service and technical expertise, and we have for the past 20+ years. We strive to deliver the very best services around, and we know that delivering on that promise starts with the very best employees. All of our plumbers and technicians are very experienced, highly trained, licensed and insured. They are also drug tested and background checked. We not only provide the best plumbing, heating and air conditioning services around, but we back them with a 100+ satisfaction guarantee. You can call us with confidence, because we don’t consider the plumbing, heating or air conditioning job done until you are completely satisfied with our services. We provide up-front pricing on all of our jobs – and we honor that pricing. There are no hidden fees or incidentals. The price that we quote is the price that we charge. Learn more about us by reading our customer testimonials or by reading about the professional associations that guide our pursuit of excellence, CLICK ANY LINK IN THE LIST BELOW. Schedule Howard or Montgomery County, MD area plumbing, heating or air conditioning service today. We’re your local friendly, courteous, professional experts. 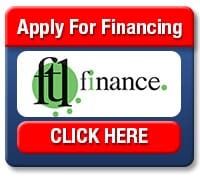 Get It Done Today – 301-683-7080.